We display all Western Pension & Benefits Council Events on this page. Registration for individual chapters can be found by following the link for registration provided. Please check with each chapter regarding their individual refund policies for events. View the CE credits we offer here. Retirement benefit obligations, such as those associated with defined benefit (DB) plans, are straining the finances of employers. It’s no surprise many plan sponsors have turned to Pension Risk Transfer to create greater contribution certainty, reduce financial statement volatility, and assure strategic flexibility- with the goal of shifting focus from their pension back to their core business initiatives. This session examines proven solutions for addressing pension plan benefits while preserving the promises that have been made. We will also take a look at the key characteristics that would help identify a viable risk transfer candidate. 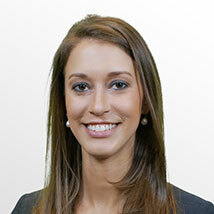 Alexandra (Alex) Hyten is a vice president of distribution for Prudential’s U.S. Pension Risk Transfer (PRT) business. She is charged with identifying and delivering solutions for defined benefit plan sponsors as they seek to reduce or remove the risk associated with their pension plans. She also delivers valuable consultative guidance to intermediaries, investment consultants, actuaries and pension committees as they weigh the benefits of group annuities against their short- and long-term objectives. Alex joined Prudential Retirement in 2007, and held several actuarial positions of increasing responsibility, primarily working in pricing roles to support financial analysis of new business opportunities. Alex holds a bachelor’s degree in mathematics with a focus on actuarial science from the University of Iowa. She is a Fellow of the Society of Actuaries and a Member of the American Academy of Actuaries. Join us on Thursday, March 7 for "The Good, the Bad and the Ugly of Plan Fee Disclosures." This event will take place at Moss Adams from 5:00 p.m. to 7:00 p.m and feature panelists discussing Covered Service Providers, Plan Sponsor and Participant Disclosures, and Participant Self Direction of their Investments. 21 Mar 2019 Orange County: TARGET DATE FUNDS Where have we been, where are we now, where are we going…..
14 Feb 2019 Phoenix Chapter - What Ever Happened to that Plan with the Failure? 07 Feb 2019 San Francisco Chapter - Legislative Update! 10 Jan 2019 Phoenix Chapter - What Lies Ahead for the US Economy? 08 Jan 2019 Denver Chapter - Post-Election Update: What Will Happen to Benefits? 16 Mar 2018 San Diego Chapter - Breakfast with Benefits: Nightmare on TPA Street - Real Life EPCRS Case Studies You Just Can’t Make Up! 15 Mar 2018 Orange County Breakfast Forum: Nightmare on TPA Street – EPCRS Case Studies that will make your hair curl! 31 Dec 2017 RECORDED WEBINAR: 457, 401(k), & 403(b) Plans - Which is right for your clients' or your organization? 01 Nov 2017 Sacramento Chapter - Retirement Plan Issues in Mergers and Acquisitions? 08 Feb 2017 Portland Chapter - What's New Out of Washington, D.C.
20 Jan 2017 Salt Lake City Chapter - Will a Change in Presidents Mean Changes for Employee Benefits? 10 Jan 2017 Denver Chapter - WP&BC Monthly Luncheon: Post-Election Update: What Will Happen to Benefits? 20 Oct 2016 Orange County Breakfast Forum: Mergers and Acquisition Issues - What Affect Does It Have on Your Clients? 04 May 2016 Online Webinar: The New Fiduciary Rules: What Do You Need to Know and Do Now? 24 Mar 2016 On Demand Seminar: "Advocating for the Elderly: An Examination of Evolving Issues in Elder Care"
14 Jan 2016 Orange County Breakfast Forum: Plan Audit Quality - Top DOL Initiative! 05 Nov 2015 Boise Chapter - Culture From the "Gut"
22 Sep 2015 Online Webinar: Pension De-Risking – Where Do We Stand Now? 16 Sep 2015 Sacramento Chapter - Annual Social Event! 19 May 2015 Orange County Breakfast Forum: The New Proposed Fiduciary Conflict of Interest Rule - How Will It Affect Financial Advisors? 29 Apr 2015 Online Webinar: Cybersecurity: Is Your Sensitive Data Protected? 21 Apr 2015 San Diego - Does your Employee Benefit Plan benefit more Employees than you thought it did? 19 Mar 2015 Orange County Breakfast Forum: ERISA Litigation Update 2015 - Order in the Court! 11 Mar 2015 Phoenix - Seminar On Demand: Washington Update: "What You Need to Know"
21 Nov 2014 Salt Lake City - Retirement Plan Audits – Why Employers Don’t Want to “Stand Out in the Crowd"
05 Nov 2014 Sacramento - Will the DOL be Knocking at YOUR Client’s Door? 29 Oct 2014 Online Webinar: Roth Accounts and Conversions - Trick or Treat? 25 Sep 2014 Sacramento - Kickoff Social Event! 17 Apr 2014 Phoenix - Monthly Luncheon: Driving Smarter Participant Decisions presented by Stuart L. Ritter, Senior Financial Planner of T. Rowe Price Associates, Inc.
25 Mar 2014 Online Webinar: Behavioral Perspectives in Plan Design Consultation: Change the Retirement Futures of Employees & Help Plan Sponsors Pass Their Tests! 20 Feb 2014 Phoenix - Monthly Luncheon: Can an Exchange Strategy Provide the "Win-Win" for Employers and their Participants? 30 Jan 2014 Sacramento - An Update on Health Care Reform: Strategies for Compliance! 20 Mar 2013 ONLINE WEBINAR: Prescription Drug Management (PBM) Transparency: Fact or Fiction? 23 Jan 2013 ONLINE WEBINAR- Cross-Testing with Charles Lockwood of ACSi-NIPA & ASPPA CEU's Available! 12 Dec 2012 PHOENIX-A Peek inside; Participant behavior and what it means to maximize retirement. 14 Nov 2012 ONLINE WEBINAR-Fee Disclosures...Now What? with James C. Paul, J.D., NIPA & ASPPA CEU's Available! 14 Nov 2012 Portland- Prescription Drug Management (PBM) Transparency: Fact or Fiction? 17 Oct 2012 Sacramento-When Do Retirement Plan Investments Generate Taxable Income? Avoiding Unpleasant Surprises. 16 Oct 2012 San Diego-Economic Outlook and the Impact of the Upcoming Presidential Election. 27 Sep 2012 DENVER-"Employer Group Health Care for 2013 and Beyond."